Create incredible images, share them easily, and efficiently manage your entire photo library. 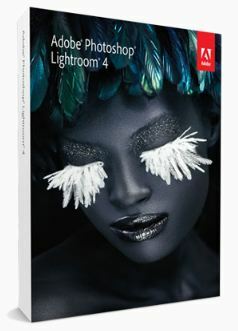 Adobe Photoshop Lightroom 4 software provides a comprehensive range of features for your digital photography tasks, from powerful yet simple automatic controls to state-of-the-art advanced tools. Bring out all the important detail that your camera can capture. New technology brings in more image detail from dark shadows and bright highlights than ever before. Now you've got more power to create great images in challenging lighting conditions. Get more consistent color across your image in scenes with mixed lighting sources. A flexible brush lets you refine and adjust white balance in targeted areas of your shot. Expand your creative control by targeting particular areas of your images using new local editing brushes for noise reduction and moiré removal. Easily share video clips in HD format on Facebook and Flickr. Or save HD clips formatted for phones, tablets, TV, and more. Save time and ink and ensure your prints meet your expectations. Soft-proofing lets you preview how an image will look when printed with color-managed printers. Easily post images to social media and photo sharing sites like Facebook and Flickr®. 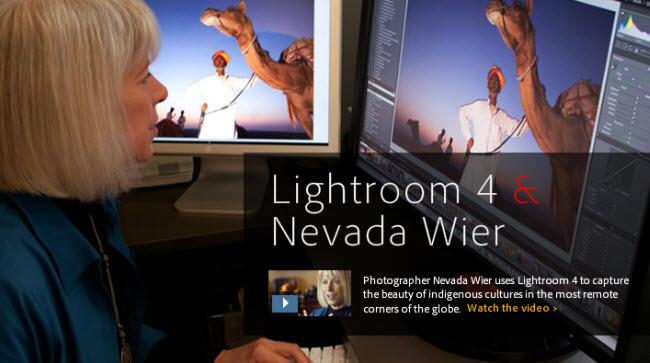 With selected sites, online comments about your images are visible within Lightroom. Email images directly from Lightroom using the email account of your choice. Bring the power and elegance of Lightroom to all your images, new and old. Easily import photos from other applications.